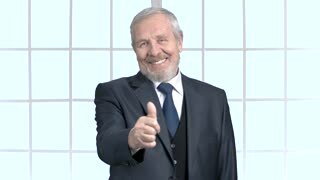 Mature businessman gesturing thumb up. Smiling bearded man in formal wear showing thumb up on window background. People, business and success concept.